From working on the farm as a child, to co-writing Kelsea Ballerini's hit "Dibs" to honing his own music, Ryan Griffin has always been about blending pure talent with good old hard work and tireless dedication. And, since arriving in Nashville from Florida at seventeen, he's also always been about guiding his career equally from the gut and the heart. Since his top-streaming song "Woulda Left Me Too" introduced him as a singer with an unusually empathetic hand (and garnered millions of plays on Spotify), Griffin has been working to release music that finds his unique niche between R&B and country, and between fun and true vulnerability. And now, with three new busbee-produced tracks and more on the horizon, Griffin has never been more ready for this moment. "I've never felt more true to myself than I have with this music," says Griffin. "These songs have never felt so right." Indeed, "Best Cold Beer," "Good Company" and "Play It By Heart" are pure Griffin: they're fun, as soulful and groovy as they are twangy, and uniquely perceptive, packed with razor-sharp insights about living and loving. The child of hardworking parents who always instilled a deep work ethic in their son, Griffin spend his youth out in the sod fields and, in his down time, wrestling for any say in the car radio stations with his two brothers and his mom – to little success. But in hindsight, it was for the best: he ended up listening to everything from Vince Gill and George Strait to modern pop and R&B once he hit high school, and it shaped him in ways he didn't even realize at the time. One evening his father – who also loved Jimmy Buffett – took him to a local country festival, and Griffin's future suddenly became clear: "I got to see Kenny Chesney and Alan Jackson and all of these dudes," Griffin remembers. "That's when I realized this is what I want to do." A little boy who would hum melodies almost before he could talk, Griffin was always a musical kid, but his father, who raised two more sports-focused sons before him, didn't know quite what to do with him. So, one day, he pulled out the phone book. "He said 'I'm going to call everyone who has something to do with music and find out what to do with this kid'," Griffin remembers. "He sat there for hours and there was finally this dude who answered the phone, and he had a studio in his garage which was kind of unheard of. My pops said, 'alright we'll be there this week.'" Griffin went in and recorded a little demo, and that was it. He spent the rest of his teenage years opening for the likes of Neil McCoy and Highway 101, and playing any stage he could. Then, at seventeen, he finally followed his dreams to Nashville, enrolling at Belmont University, first in the voice program and then, afraid all the training would massage the character form his sound, in the Music Business program. And, like most promising graduates, he hit all the milestones: he won the country music showcase, played the Best of the Best, and scored an internship at Broken Bow that saw him hitting the road to help tour manage Jason Aldean. But it still didn't all come easy after that: bouncing through a label and a publishing deal, Griffin sometimes wondered if this creative life was becoming too much of a hardship for his young family – but it was his wife who told him to stay the path and keep pursuing his dreams. So in 2017, he released his EP, Sake of the Summer, with "Woulda Left Me Too" now topping five million streams – and "Dibs" going to number one. For this next sampling of songs ("Best Cold Beer," "Good Company" and "Play It By Heart") Griffin just wanted to focus on making it relatable. "I wanted to write songs that people could really latch on to," he says. "To meet people where they are and provide an escape, while being truly authentic to me." And for Griffin, that means providing both plaintive moments and pure fun. 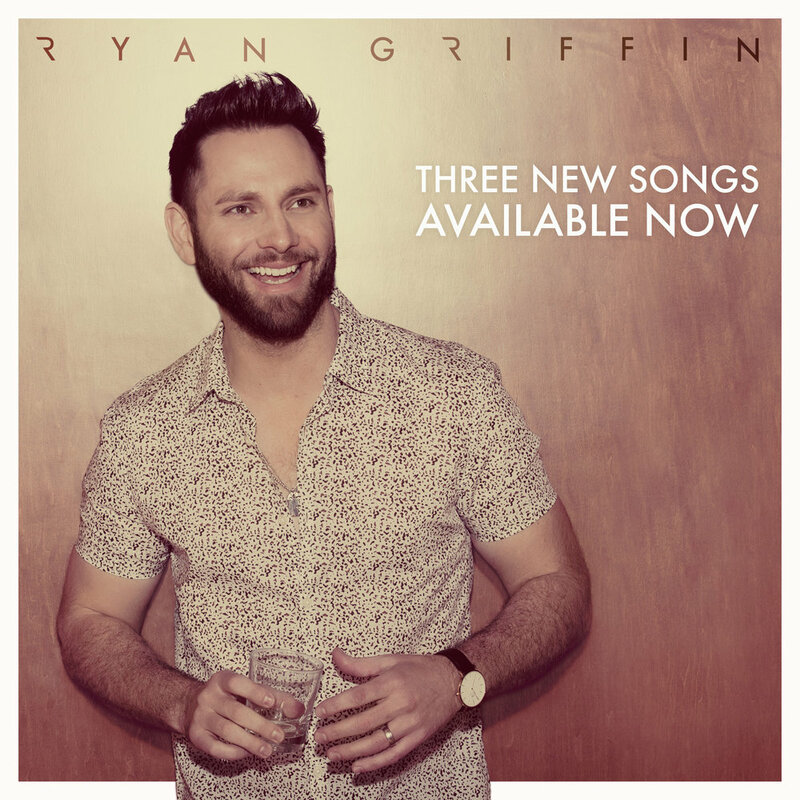 Produced by busbee, these three songs are indeed both: a little bit Keith Urban and a little bit Brian McKnight, "'Good Company' is a departure and it's an escape," says Griffin. "You can't not dance and forget about all the B.S. But I'm not afraid of a vulnerable song that cuts to the heart, and 'Play It By Heart' is about how I live my life and how my wife and I walk through our marriage." And "Best Cold Beer" is a surprising lyrical twist about the lure of romance – and a good turn on the dance floor. Having already opened for the likes of Ballerini, Lady Antebellum and Old Dominion, Griffin will take these songs on the road this summer at select festival dates while he hones his record. One of Rolling Stone’s 10 New Country Artists You Need to Know he's also been highlighted on 2018 Ones to Watch lists by AOL, AXS, Country Fancast, NY Country Swag, PopDust and Thought Catalog – and all as a result of keeping his eye on his ultimate goal, no matter the circumstances. "I always knew in my heart if I kept fighting, if I kept pushing and kept grinding," he says, "I'd get there. This is my calling." Three new songs available on all digital services now! "Play It By Heart", "Good Company" and "Best Cold Beer". Warner Music Nashville and Altadena are proud to announce the signing of up-and-coming country artist Ryan Griffin. The Florida native is bursting onto the scene with his own distinctive sonic mix, created alongside hit-making producer busbee (Maren Morris, Gwen Stefani), which lands somewhere between Keith Urban and Brian McKnight. He most recently demonstrated his blend of honest country and R&B soul on independently released tracks “Good Company,” “Play It By Heart” and “Best Cold Beer,” the latter of which SiriusXM The Highway featured as part of their influential “On the Horizon” show. A gifted songwriter, Griffin lent his pen to Kelsea Ballerini’s 2016 Platinum-certified No. 1 hit “Dibs.” He has already accumulated more than 10.5 million on-demand streams and been named to a number of “Ones to Watch” lists, including Rolling Stone’s “10 New Country Artists You Need to Know.” Quickly becoming a fan favorite, he has shared the stage with chart-topping artists including Ballerini, Lady Antebellum, Old Dominion and more. Griffin is currently working on new music to be released in 2019.